Bread knife should not be expensive. Bread knives go long way without any maintenance. I’m pretty happy with Victorinox Cutlery 9-Inch Wavy Edge Bread Knife, Black Polypropylene Handle . 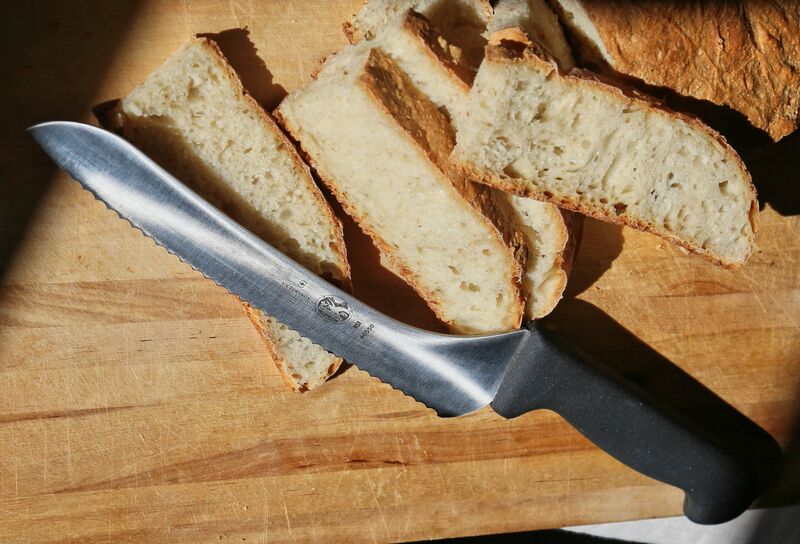 The knife slices effortlessly through tough breads, has a good balance and a comfortable grip. The offset handle keeps you clear of the cutting board.